Almond patina weave finish and fine finished in semi matt lacquer. 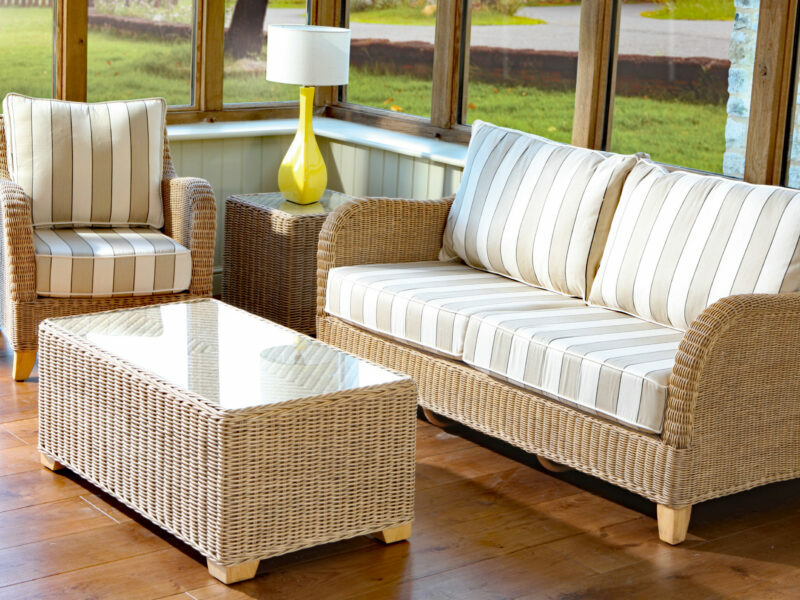 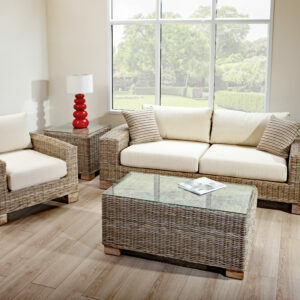 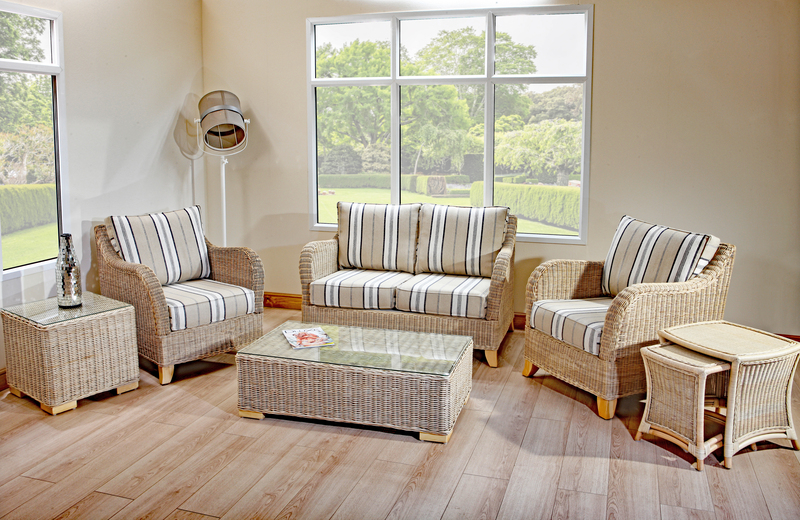 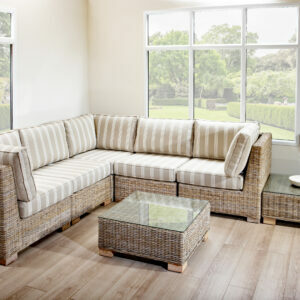 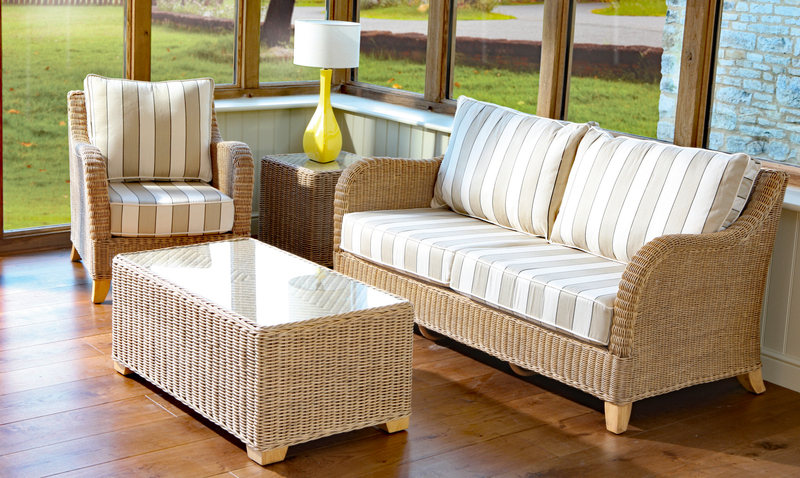 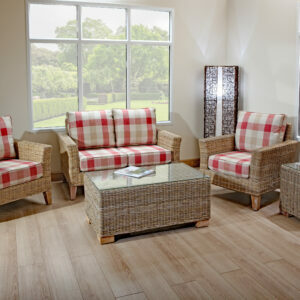 Fremont collection is a compact comfortable modern style rattan sofa set. 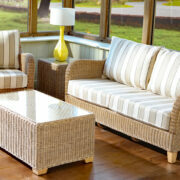 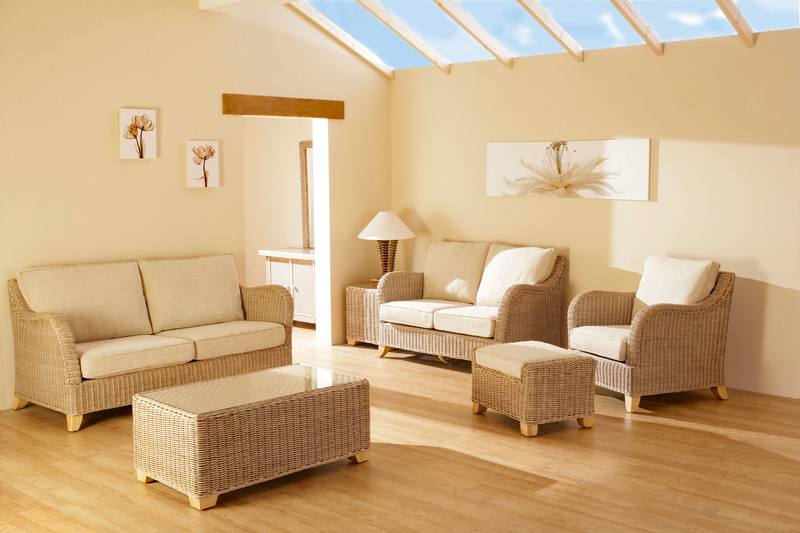 Generous deep seat cushions with inviting soft back cushions with good support, perfect for the smaller conservatory. Attractive curved shape arm for added comfort. 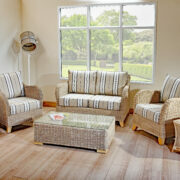 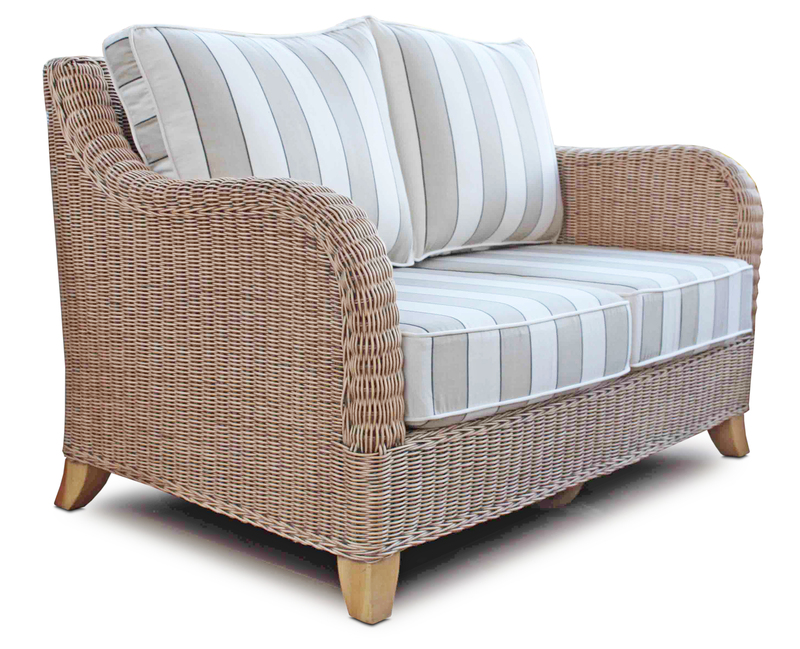 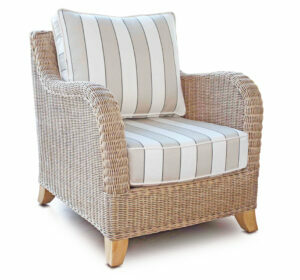 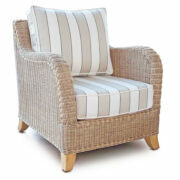 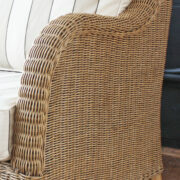 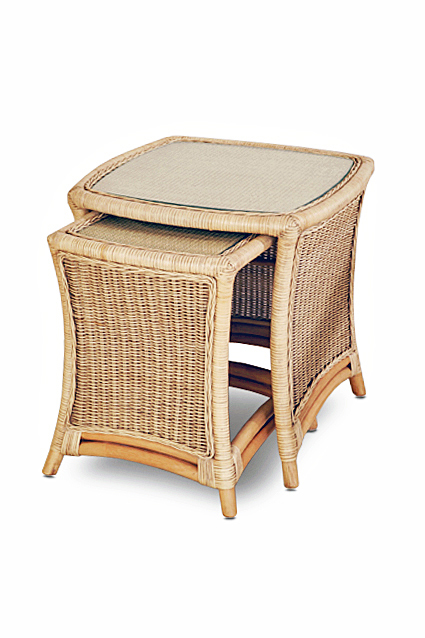 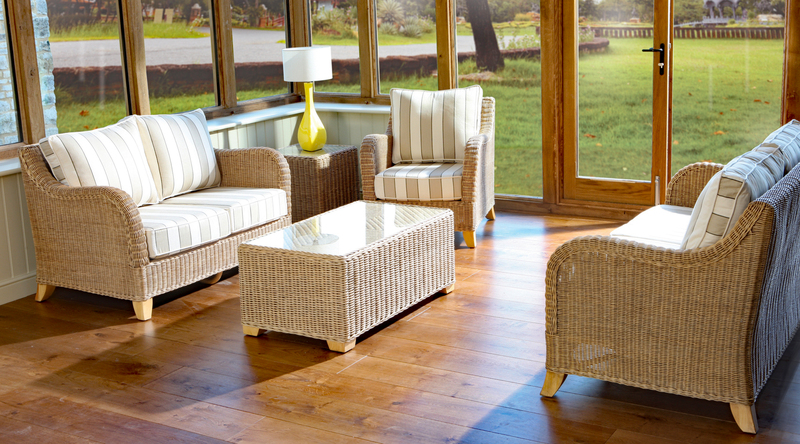 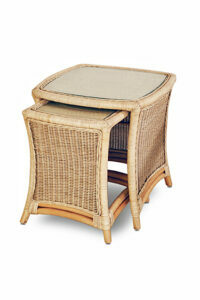 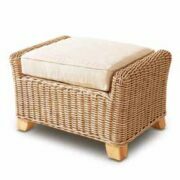 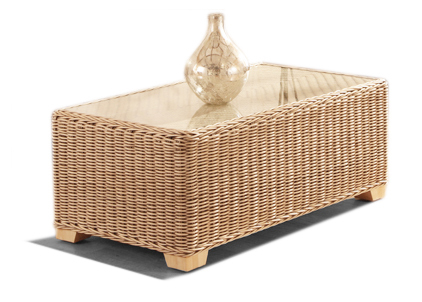 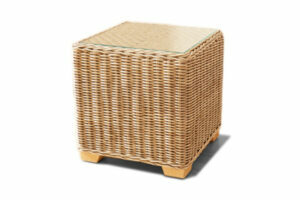 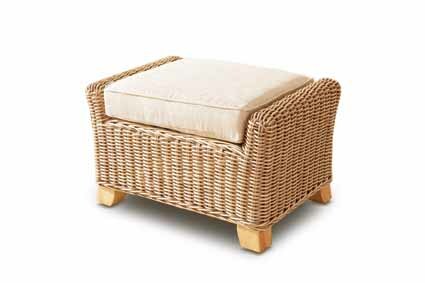 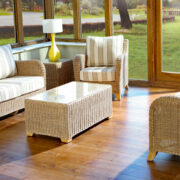 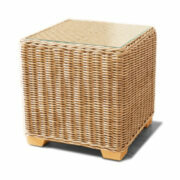 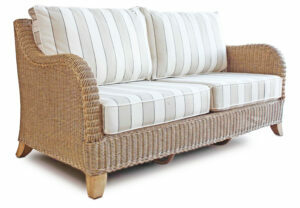 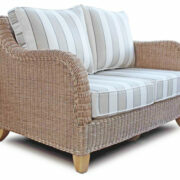 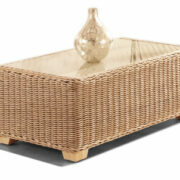 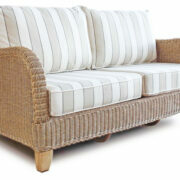 Made from full round weave tightly woven with solid wood legs and a full sprung base for added comfort. 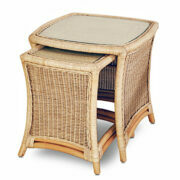 Fremont is finished in a Almond patina with washed pine wood legs. 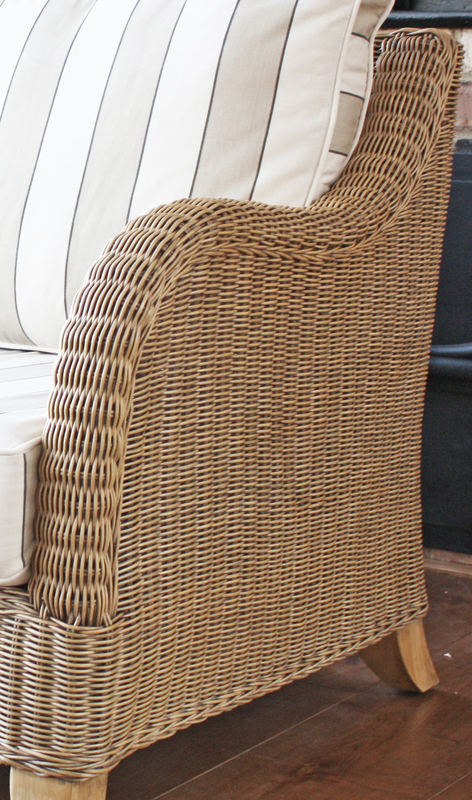 Finally finished with a semi matt lacquer. 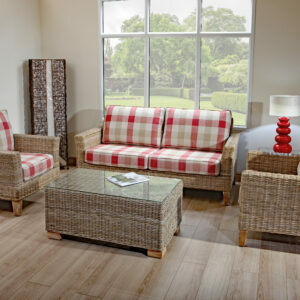 Fremont is available with Arm chair | 2 seat sofa | 3 seat sofa | Foot stool | Coffee table | Side table & Lyon nest of tables.